On April 16th, the Gerontology Interdisciplinary Program held its annual Sigma Phi Omega (SPO) Induction and awards Celebration, at which time two students and 7 community partners were recognized and inducted. Our partners are professional leaders working towards improving the quality of lives for older adults and caregivers throughout Utah and will bring a richness to our chapter and SPO. 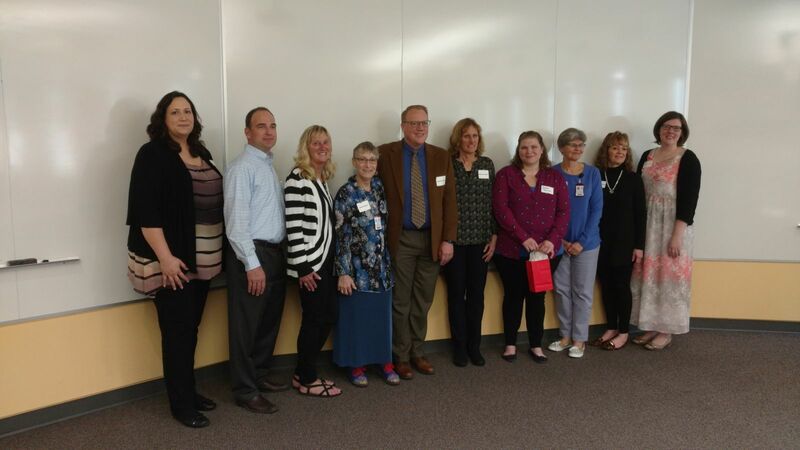 Here is a picture from our induction including our inductees (who were able to attend) and Faculty (Dr. Kathie Supiano, Nanci McLeskey and Jackie Eaton).